Henges, burial mounds of all shapes and sizes, causewayed camps, early field systems and ‘cursus’ monuments are scattered everywhere in Wessex, forming a landscape which hints at its past, but whose story is unintelligible to the untrained eye. Our experts have been introducing people to this, one of the richest prehistoric landscapes in the world, which lies on our very doorstep, since Andante’s inception. Meet in the evening for an introductory lecture and dinner together in a local restaurant. Overnight in Sarum College in the beautiful Cathedral Close. By coach to Avebury for a full exploration of the huge Neolithic henge, so large that part of the village lies within it. It is one of the largest and best preserved of 1300 stone circles known in the British Isles. Morning walk around the henge and along the ceremonial Avenue. We approach the stones of Avebury just as one would have done in prehistoric times. The walk continues to the Long Barrow at West Kennet and a chance to explore the chambered tomb within. 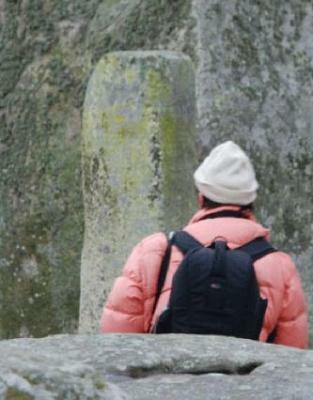 This kind of monument is the earliest known to have been built in Britain – in commemoration of the dead. Continue to the ‘Sanctuary’, a small, complex timber and stone circle on the top of Overton hill. Walking in our ancestors’ footsteps helps us try to understand their motives and methods. Stonehenge for an early (7.30am) visit inside the stone circle before the public arrives. This will be followed by a walk (2 hours) through the wider religious landscape – the cursus, King Barrows and Stonehenge Avenue. A short drive takes us to Woodhenge, where the remains of wooden post settings have been found – now marked by concrete. From here there is a good view over the huge henge at Durrington Walls, site of exciting recent excavations which revealed the settlement which may have housed the builders of Stonehenge. 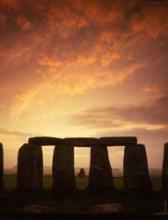 Return to Salisbury Museum for a visit to the Stonehenge and Prehistory Galleries. We have arranged a private demonstration of flint-knapping in the gardens here, which is not only much enjoyed, but adds considerably to your understanding of the way in which our prehistoric forebears were able to fashion all manner of implements and tools from our good local flint supplies. In a world without metal technology this was a critical and highly sophisticated art. Should you choose to arrive earlier or stay later, you might like to visit Old Sarum, the hillfort to the north of Salisbury which was later chosen as the site of our first cathedral, or, of course, our beautiful Gothic cathedral – straight in front of the College. NB Most of every day will be spent walking, and you must be prepared for this, with suitable footwear and weatherproof clothing. You will also have to carry your own water, and negotiate a variety of stiles. The original Andante Tour – accept no imitations!